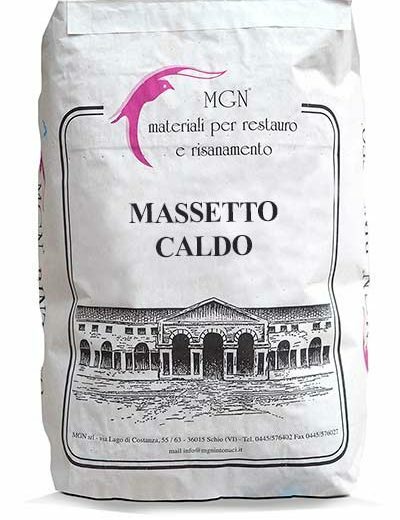 MASSETTO CALDO MGN (translates to "hot screed") is a filling and leveling screed that can be laid on timber, cement or brick-cement floors. Composed of lime and cocciopesto (a traditional Italian brick or terracotta powder), it is particularly suitable for underfloor heating (radiant floors). Once matured, it supports fine Venetian-style floors, tiles, or timber floors glued or nailed to joists. 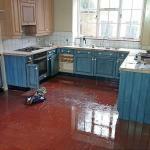 The Massetto Caldo MGN lime cocciopesto screed cannot be compared to other types of contemporary screeds. It is the result of years of research, experimentation and testing, both in the laboratory and on site, in order to reproduce and, if possible, improve the historic original. 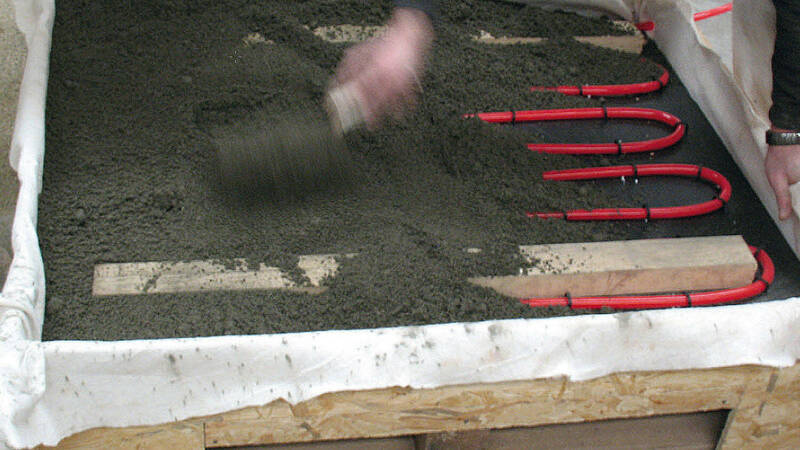 Tests were carried out at the CMR Laboratories in Italy to evaluate its performance in comparison to a traditional sand-cement floor. 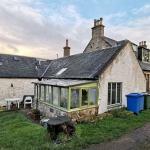 Specimens of lime-cocciopesto and cement screeds were prepared and applied to the same underfloor heating system, and surface heat flow measurements were undertaken on each. 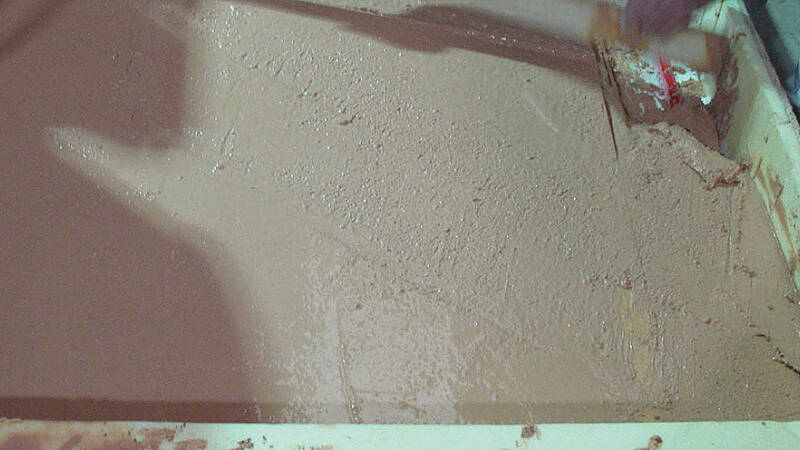 A traditional cocciopesto MGN screed, in 40 mm thickness above the pipes. Both floor samples were left to mature for 28 days, heating them artificially to accelerate drying, before taking any measurements. All samples were fed through a boiler capable of keeping the water circulating at a temperature of 32 °C. 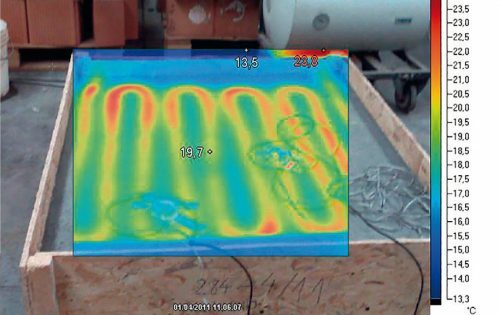 Thermal flow measurements were carried via thermo-flow sensors placed onto the surface of the floors, in-between adjacent pipes of the hydraulic circuit. The sensors have been connected to an automatic data acquisition system, which was taking readings at a 1 minute interval. 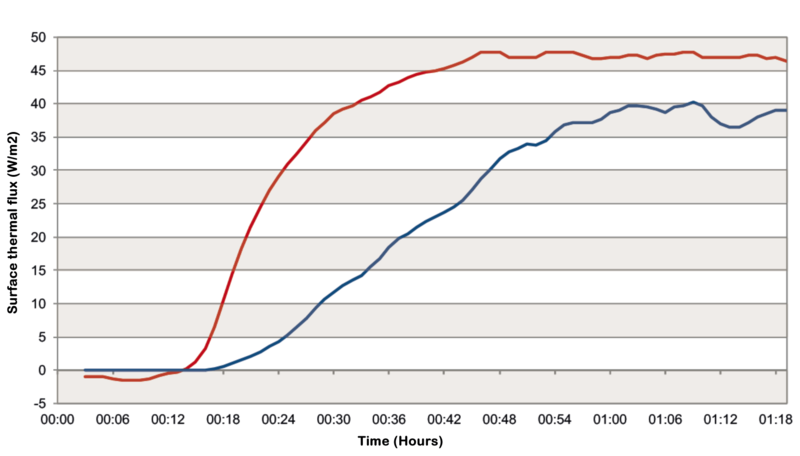 The above graph compares the surface heat flow generated by the two different floors. We can see how the cocciopesto floor has a steeper curve than the concrete floor. 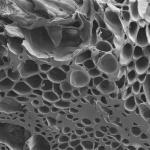 Moreover, it steadily outputs by about 16% more heat than a similar concrete floor. 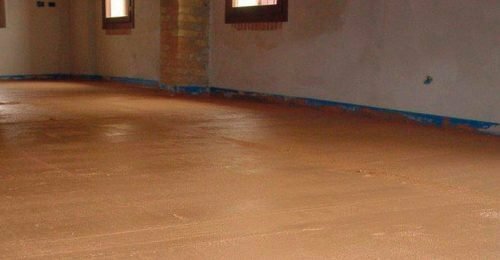 This indicates that a cocciopesto screed heats up the living space faster and maintains it at a lower temperature of the water than a comparable cement floor.